It’s not easy to do creative work in the world, amid chaos and many people who make demands on your time. The creative spirit pines for solitude. 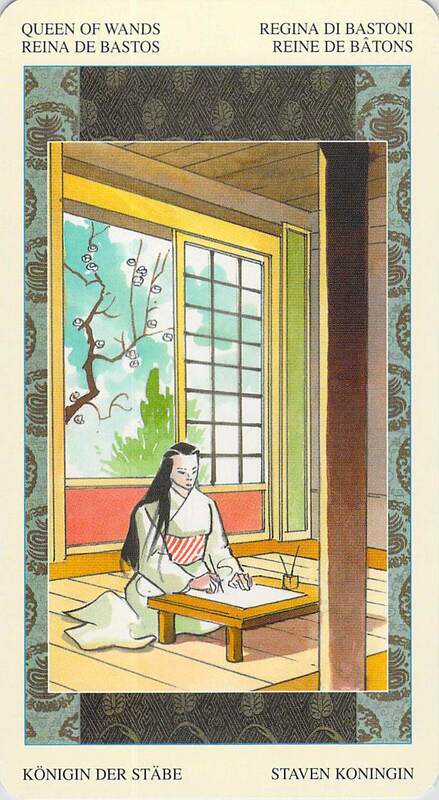 Nobody, perhaps, has understood this better than Murasaki Shikibu, author of Tale of the Genji and possibly the world’s first modern novelist — a woman who spent many years as a lady in waiting for Empress Akiko, but who wrote in her diary about her frustration with the boring frivolity of court life. 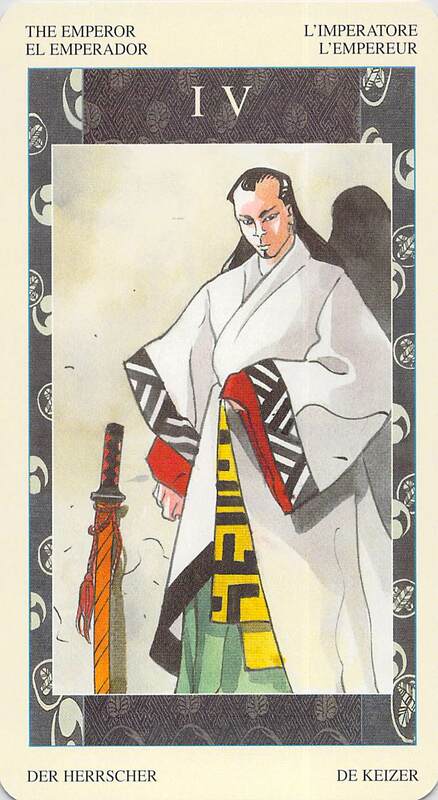 In the Samurai Tarot, Murasaki represents royalty herself: the Queen of Wands. With her we have the Emperor. To me, the issue here is power and control — the power to control how we use our time, especially if we are trying to do creative work. Can we seize control of our own time today? I couldn’t — I am writing this Cards for the Day post at almost 6 p.m.!! Better luck to you.